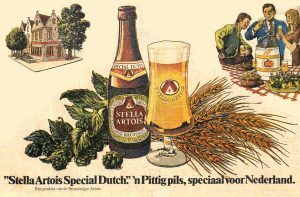 Back in the 1970s, the Leuven-based Artois brewery was at the top of its game in Belgium: in 1974 it churned out no less than 4 million hectolitres of its Stella Artois lager. All over Belgium, people ordered a Stella at the bar, because in the eyes of the average Belgian that equalled ‘ordering good beer’. There were some exports to France and in the UK it started to catch on. No doubt Holland was longing for it as well. Or so the people at Artois thought. 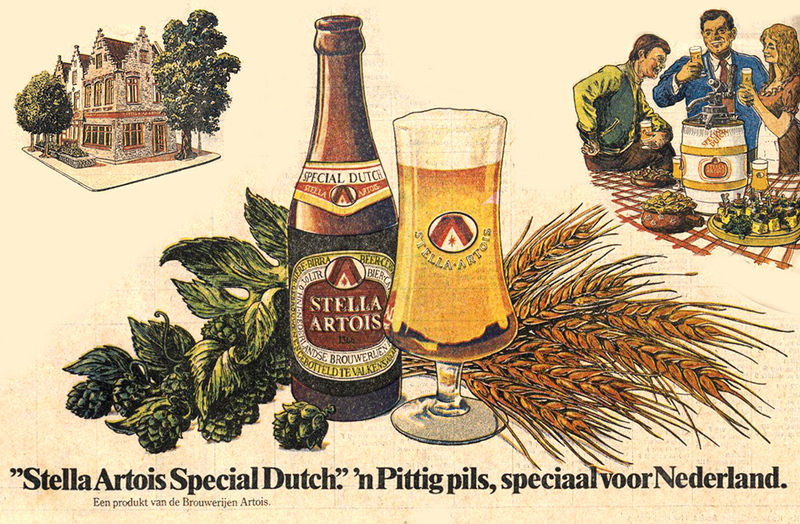 For some time Artois had had its eyes on the Dutch market, advertising in newspapers and supplying credit to pubs. But in 1968 they ventured a bigger step and bought the Dommelsch brewery, in Dommelen near Valkenswaard near the Belgian border. A year later they acquired most of the assets of the trappist brewery at Koningshoeven abbey near Tilburg. 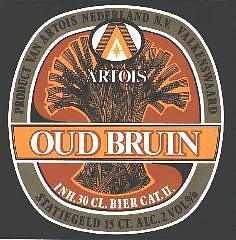 At that moment, The Netherlands had no more than about thirty breweries, that mostly made pilsener and little else. Heineken took over Amstel in 1968, after which it controlled 60% of the Dutch beer market. Dutch consumers didn’t care, as long as they could drink more or less the same bland lager they were familiar with wherever they went. Even the trappists were mainly brewing lager. At first, Artois fiddled about with the Dommelsch brand: they modernised its spelling to ‘Dommels’ and started using a more modern font on the labels. But the actual goal of their acquisition had been: to roll out Stella Artois all over Holland. In 1974 this ‘Stellatisation’ really got going. Artois started converting all the pubs they owned (the old Dommelsch pubs and those of the trappists, because the monks had owned quite a lot of hospitality-related real estate as well) to Stella pubs. In Valkenswaard for instance, all Dommelsch pubs were converted overnight, without warning. Stella signs were to be placed on pub exteriors all over the country. The project was carried out without much success. Forcing pubgoers to drink Stella was one thing, actually generating enthusiasm was another. Stella, brewed in Leuven and transported in tanker trucks to Holland, didn’t catch on. ‘The people here got a headache from our beer,’ director Heymans of Artois Nederland said. ‘Our Belgian Stella was heavier than Dutch lager. The Dutchman knows only lager, and only lager with not too much taste.’ Stella Artois was simply too wild for the average Dutchman, whose taste buds had been numbed by years of drinking Heineken. Artois faced a choice: either keep selling the heavy, hoppy Stella, ‘or make a beer with a more general taste.’ They opted for the latter. Starting in 1975, they sold a ‘Stella Artois Special Dutch’: a toned-down Stella with less taste, for the sensorially challenged Dutchman. It was still brewed in Leuven and transported by road to Dommelen, but as a ‘high gravity’ beer that was diluted with local Dommelen water. Nevertheless, they still advertised it as a ‘punchy lager’. 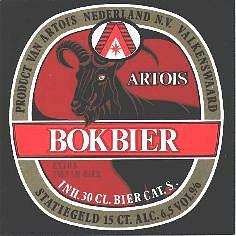 Interestingly, at the Dommelen plant they started making a few typical Dutch beer types under the Artois label: Artois bok beer, Artois oud bruin and Artois super-pils. Back in Belgium Artois was still making a Bock as well, but there it was a weak blonde table beer. In the meantime, the breweries in Dommelen and Koningshoeven were withering away. In 1976 Artois ceased brewing at Koningshoeven, which also meant an end to the short period that Artois had actually brewed inside a monastery, contrary to what they still are trying to suggest with their sham abbey beer Leffe. In 1980 the trappists themselves restarted their brewery, now to produce craft beers after the example of their Belgian trappist colleagues. The Dommelen plant also seemed to be destined to become a mere Stella distribution centre. 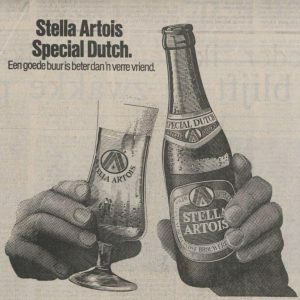 But despite the ‘Special Dutch’ that was produced as tasteless as possible, Stella Artois just didn’t take off in the Netherlands. There were however still free houses that bought their Dommels(ch). Actually, there was quite a lot of demand for it. 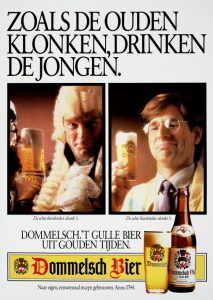 In 1980 Artois came round: they decided to give Dommelsch a second chance. The ‘ch’ was reinstated in the brand’s name and they experimented with Dommelsch on a modest regional level. When this proved successful, the choice was easy: Artois invested in new installations for the Dommelen brewery, put Stella on the backburner and rolled out Dommelsch all over Holland. It worked remarkably well. 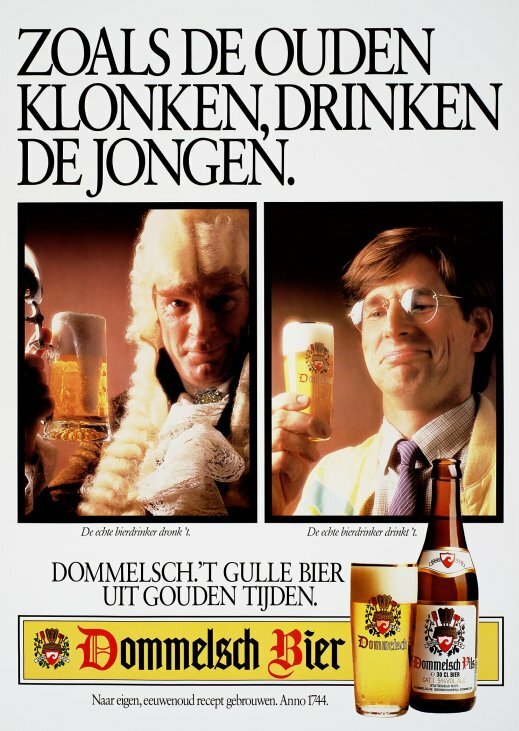 With intensive and inventive advertising the Netherlands was taught that Dommelsch was the ‘generous beer from golden times’, followed by the slogan ‘But we’ve got Dommelsch!’ In 1988, Artois Nederland stopped selling Stella for good. The ‘Special Dutch’ belonged to the past. So, where is Dommelsch now? In the new millennium Artois, now called Interbrew, changed course. 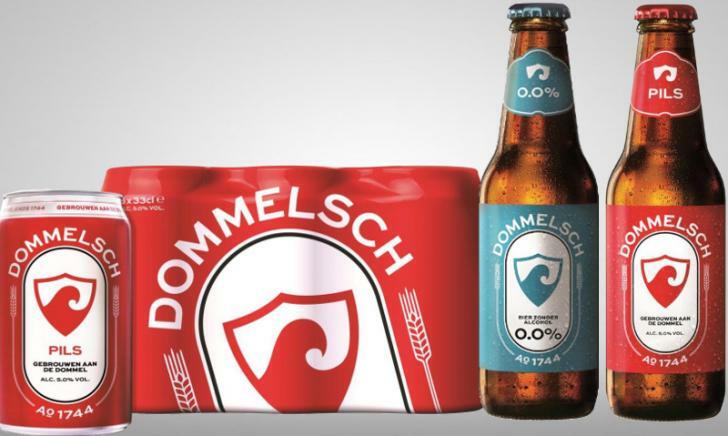 The Dommelsch brand was relegated to the background, to favour Hertog Jan lager, also brewed in Dommelen, and the Jupiler brand of Belgian origin. In the past few years, it looked as if Dommelsch’ days were numbered. 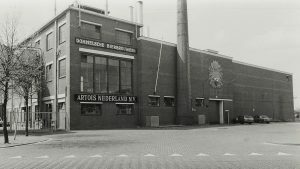 But no: in 2018 it actually got a restyle, with labels vaguely reminiscent of those of the former Phoenix brewery in Amersfoort. ‘The new design should make it stand out more on the shelves amidst all the other beers on offer,’ and they want to embrace their region more. 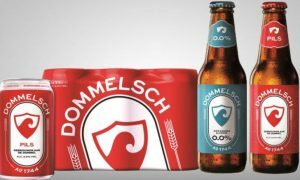 Whether there really still is a place on the beer market for Dommelsch, remains to be seen. Otherwise, it will undoubtedly down the same road as the ill-fated, tasteless ‘Special Dutch’: down the drain. Henk Hovens, Dommelsch bier ‘n eeuwenoude traditie, Hechtel 2004, p. 161-172. Misset Horeca, 1978 nr. 22. Misset Horeca, 1978 nr. 22; Hovens, Dommelsch bier, p. 172. Hovens, Dommelsch bier, p. 191-201. I’d be very interested to hear more about the Trappist lagers mentioned in this post. Their ales are amazing, but I wonder if they could make a lager on the same level? Thanks for the link! It looks like La Trappe’s Isid’or ale is, ironically, named after the monk who produced the Trappist lagers. I’ll keep my eyes open for the next post.